Test Sieves are widely used in households, as well as commercial sector. We offer a wide range of Test Sieves to customers all over India. 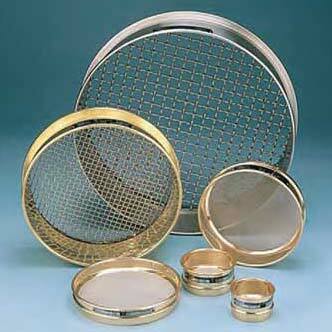 We are a prime Test Sieves Manufacturer and Supplier in Tamil Nadu (India). These are made from stainless steel wire mesh and brass frame of 200mm diameter. We can design and customize our Test Sieves as per the specific requirements of customers. Contact us for more details.